This article was republished with permission from blog.paleohacks.com. Some of the best scientific research on cancer says that preventative rather than reactive treatment is one of the best ways to lessen your odds of getting cancer. One of the best measures of defense is our lifestyle, as outlined in the scientific research. Everything you do, whether it’s not sleeping enough, exercising regularly, smoking, drinking alcohol, eating poorly—constitutes your lifestyle. Unfortunately, cancer also is impacted by our genetic makeup—which we are born with. What we do have control over, however, is epigenetics. Epigenetics can be over-simplified to mean “how your environment and choices impact your genes.” This can be otherwise stated as—you guessed it—lifestyle! There are foods—all of which can be found in a Paleo Diet—that can help prevent and also help to cope with cancer. Unsurprisingly, there are lots of vegetables on the list! So without further adieu, here are 20 foods to help prevent cancer! Kale is pretty much the best vegetable to be eating on a regular basis. Since it has gone mainstream, you are also no longer the (only) health nut in the break room with raw green stuff on your plate—added bonus. The nutrients in cruciferous vegetables offer somewhat rare protection against DNA damage—which can often result in cancer. Why is kale so special? Well, one reason is that kale offers the most polyphenol content of any cruciferous vegetable. Kale also contains sulforaphane, which is a bioactive compound shown to be very helpful for preventing cancer. Eat up! Popeye was no fool—spinach is a nutritional powerhouse. In particular, spinach seems to be beneficial for prostate cancer. Though spinach is helpful for preventing cancer for many reasons, its effect against prostate cancer is likely due to epoxyxanthophylls—a group of carotenoids found within this green veggie. The anti-cancer effect of spinach glycoglycerolipids is due to angiogenesis inhibition. In more detail, this is based on the selective inhibition of DNA polymerase activity. For practical uses, all you need to remember is that the more spinach you have, the better your odds of fighting cancer. Cauliflower is a little bit forgotten when it comes to scientific research, but you will find that there are quite a few studies linking cauliflower to potentially lower rates of cancer. Cauliflower not only has antioxidants, but also has sulfur-containing nutrients which help fight against cancer. Cauliflower even contains additional phytonutrients which may be helpful in activating detoxification enzymes and regulating how they function within the body. These are called glucosinolates, and cauliflower contains gluconasturtiin, glucobrassicin, and glucoraphanin. Dig in! Broccoli simply has some of the best bioactive compounds to help fight against cancer. Sulforaphane is the main element found within this green veggie, which helps to deter cancer. Some studies have even shown that broccoli inhibits breast cancer stem cells. This should give you plenty of reasons to load up on this stalky green giant! Cabbage has a particular glucosinolate which has received extra notice in cancer research, named sinigrin. And if you are looking to get the most bang for your buck with cabbage – eat it raw, as studies show it has better health results in this form. Steaming it is also a good option. Just make sure to include cabbage in your weekly nutritional rotation! These orange veggies pack quite a few cancer-fighting elements into one light package. Most important though, is the anti-cancer compound falcarinol. Why is this so important? Some studies show that tumors in rats were reduced by a third, upon ingestion of falcarinol. Definitely food for thought! Similar to carrots in many regards, sweet potatoes also pack a large amount of nutrition into a small amount of calories. Experts have even found that there are significant antiproliferative and antimetastatic effects on human cancer cells when consuming sweet potatoes. Somewhat forgotten by almost everyone, seaweed actually has many anticarcinogenic properties. An important element found here is fucoidan, a complex polysaccharide, which has possible abilities to make cancer cells self-destruct. However, more research is required before anything more definitive can be stated on this subject. One thing is for sure—you should munch on some seaweed from time to time to reap the health rewards! The anti-cancer compounds found in mushrooms have critical roles. Interestingly, there is even a widespread movement in the medical community to potentially have anti-cancer drugs made from medicinal mushrooms. Top your green salad off with these little guys, and score some extra nutrition! Raspberries contain ellagic acid—more in fact, than almost every other berry. Get black raspberries to get the most bang for your buck. And why exactly is ellagic acid important? Very simply, it helps to inhibit tumors. Papayas are very often forgotten about—but they shouldn’t be. While the verdict is still out, many substances found in papayas may have some anti-cancer effects. Slight warning—papayas are still high in sugar, so don’t make this fruit an everyday occurrence in your diet. 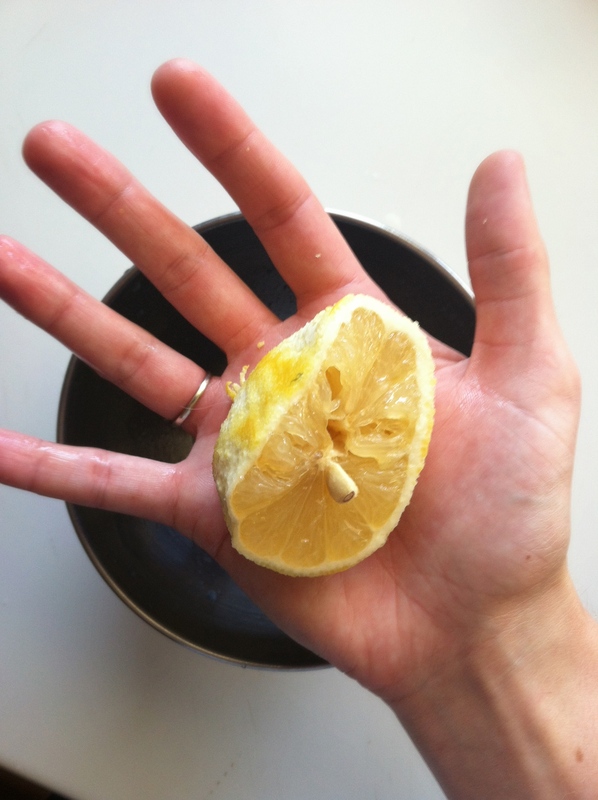 It seems like lemons have been truly forgotten about, except maybe in your water at a restaurant! The case here is, again, not the lemons, but the compounds found within them. In this case, the phytochemical limonene has been used in clinical trials and is showing some promising anti-cancer activity. Rosemary is a great way to add some extra punch to some of your favorite Paleo foods. When it comes to cancer prevention, there is particular potential in rosemary extract, carnosol, carnosic acid, ursolic acid, and rosmarinic acid. What does this mean for you? Start adding this herb to some of your favorite dishes, and take one more step towards better health. Garlic is well-known as being extremely healthful, but there are some interesting notes that affect its anti-cancer properties. Did you know, for example, that letting garlic sit after you’ve chopped it can help to increase the benefits? 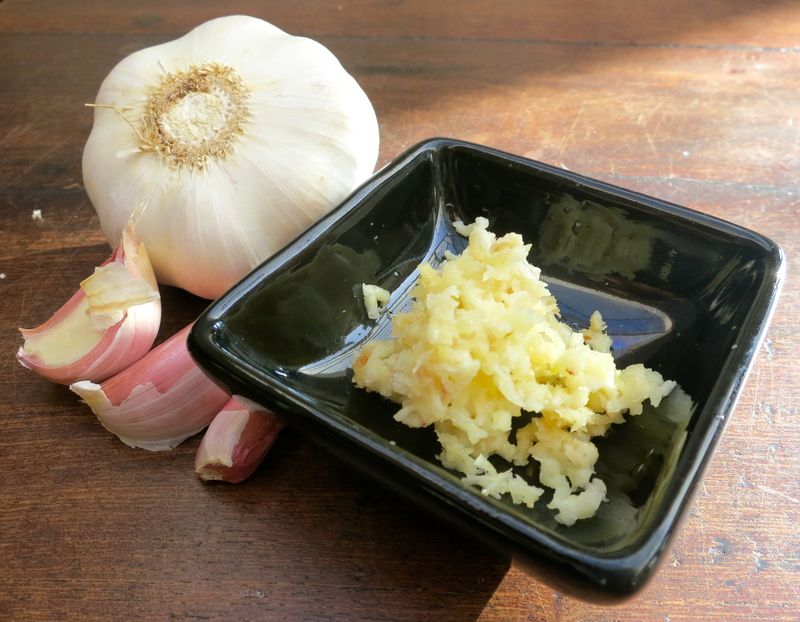 Various population-based studies have shown that garlic may help with cancer. You can apologize to your significant other in advance for the bad breath, but you are helping your own health in the process! Brazil nuts get a lot of their cancer-fighting punch from selenium—a trace mineral that is found in extremely large quantities in this particular nut. 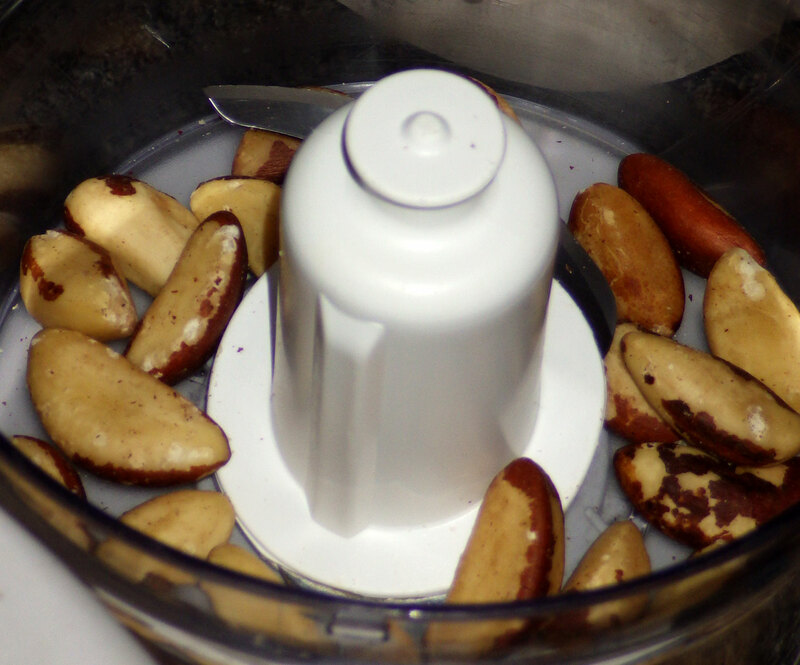 You do not need many Brazil nuts to reap the benefits—so do not overindulge, as they are calorically dense. Turmeric helps to inhibit cancer cell growth—pretty important! Adding just a little bit to your food on a daily basis is an excellent way to start reaping the health benefits.Curcumin is the most well-studied phytochemical present in turmeric. Green tea is helpful against cancer, largely due to its most abundant catechin, epigallocatechin gallate (EGCG). In fact, some studies correlate green tea consumption with decreased cancer risk. Since green tea has a variety of other health benefits, there is no reason not to include this in your diet! Some interesting studies have shown that tomatoes and broccoli, when eaten together, are a virtual powerhouse against cancer. The lycopene in tomatoes is what is doing the work, while concurrently, the sulforaphane in broccoli is doing the job. Eat both, to increase your odds against disease! Citrus fruits in general are very beneficial for fighting against cancer, but oranges are special. Quite simply, oranges pack a near-complete package of every anticancer inhibitor known, into one fruit. And, strangely, one of the most potent compounds in oranges is found within the peel. Blueberries have many beneficial compounds for helping to fight against cancer. But perhaps most importantly, they have anthocyanin antioxidants – which help to give foods blue, purple and red colors. The many anthocyanin compounds in blueberries include: malvidin, delphinidins, pelargonidin, cyanidin, and peonidin. To get the most nutrients out of blueberries, always go organic. While some foods show small differences in nutritional profiles when comparing organic vs. non-organic items—this is not the case with blueberries. Always go with organic berries whenever possible. Besides the anthocyanin antioxidants, blueberries also contain: caffeine acids, ferulic acids, coumaric acids, hydroxybenzoic acids, gallic acids, protocatechuic acids, kaempferol, quercetin, myricetin and other phytonutrients. Eat up! Eating a solid mix of the best vegetables and most nutrient-dense fruits, while also sprinkling in some beneficial herbs and spices, is a surefire way to help decrease your risk of cancer. Once you have cancer, there is no clear way—nutritionally—to make it better. However, some studies have shown small success with very low-sugar, high-vegetable diets. Remember, it is better to start making good choices today, rather than waiting until it may be too late. Preventative medicine is the best kind of medicine—and that includes eating a nutrient-rich, vegetable-filled, Paleo diet.